Savvy southern Pennsylvania business owners are willing to invest capital to get good return-on-investment for their companies. That’s why many entrepreneurs in York, Lancaster, King of Prussia, Harrisburg, and Berks County come to Trifecta Solar to install top quality solar power systems for their offices, stores, and factories. With numerous employees, large facilities, and manufacturing equipment, businesses tend to consume enormous amounts of electricity. The more power your business can generate for itself, the more money you will save in paying utilities. Your auto parts production plant in King of Prussia is a 200,000 square foot facility—why not take advantage of all that roof space? Trifecta Solar can install rooftop solar power systems that will convert the sun’s energy into electricity to run your factory. Even factory outlet malls in the outskirts of Lancaster can reduce their overhead by taking advantage of their overhead square footage with roof-mounted solar power systems from Trifecta Solar. 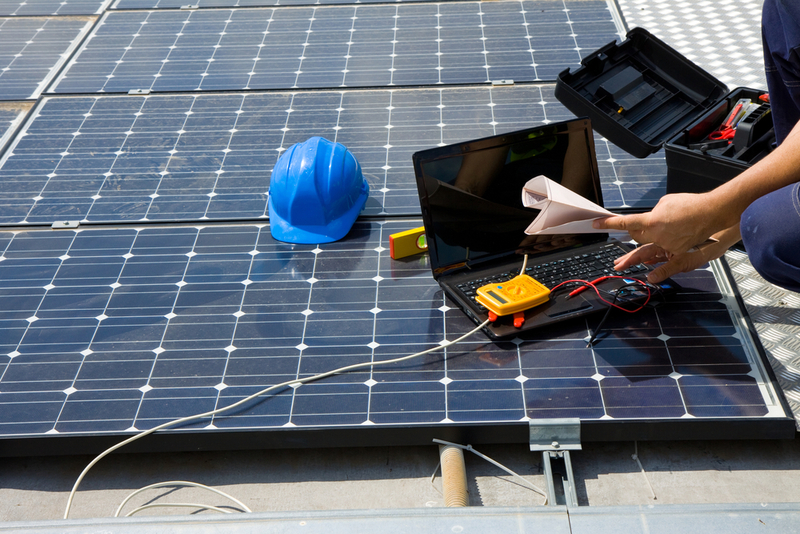 Unlike your HVAC or computer systems, solar technology is largely maintenance free. You won’t need to spend extra money bringing techs onsite to keep the solar power systems at your Harrisburg business parks running smoothly. Nonetheless, the helpful staff at Trifecta Solar will be available for you, just in case you have any questions about the operation of your solar power systems after we install them. Pennsylvania may not be the Sunshine State, but it gets enough sun to generate a considerable amount of renewable energy through solar power systems. And even the occasional snowstorm won’t make much of an impact on your solar power production: Trifecta Solar will angle the rooftop solar panels at your York snack foods facility to cast off most snow, allowing the sun to melt what remains. Many customers and clients appreciate businesses that are more environmentally aware. Having your own solar power systems shows that you don’t just care about greenbacks—you care about being green for the sake of the planet. You can even humblebrag about your Berks County solar power systems on your product packaging, to impress customers near and far! Moreover, when you purchase solar power systems from Trifecta Solar, your franchise in Harrisburg may be eligible for alternative energy credits from programs like Energy Harvest in Dauphin County. You may also qualify for state and federal tax credits. For a free quote and more information about how Trifecta Solar can provide the most cutting-edge and reliable solar power systems for your business, call us today at (717) 314-9821—or email our owner, Elam Beiler, at elam@trifectasolarllc.com.